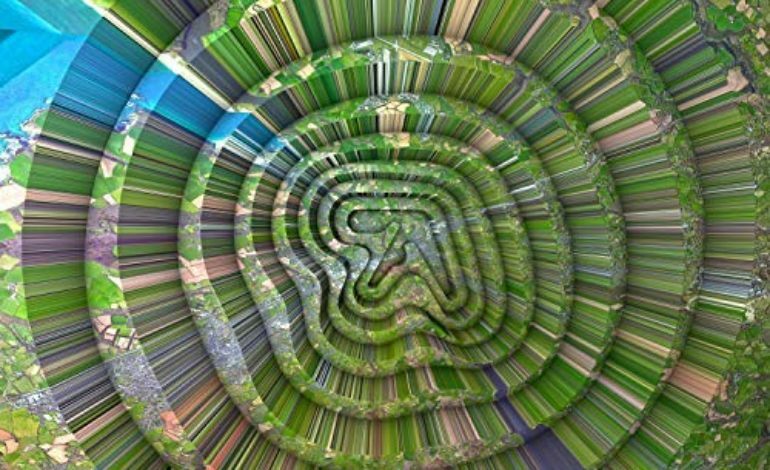 As one of the most influential and prolific techno and IDM producers to ever make music, Richard D James of Aphex Twin has risen to legendary status with a signature mix of dizzying percussion, complex sound design and rich melodic structures. Differing from the self-proclaimed “simple and poppy” beats of 2014’s Grammy Award-winning album Syro, James’s highly anticipated Collapse EP adds more intricate computer sequenced percussion, layered with vintage drum machine lines, a masterful use of effects and extraterrestrial sound design. “T69 Collapse” opens the EP with a flurry of fast and densely layered percussive lines, wonderfully bouncy bass and lush glitched out synths. The track teleports you through time and space, as if warping the world around you. Ever evolving and continuously introducing fascinating musical motifs, the song goes from groovy and euphoric to mysterious and alien in a heartbeat. “1st 44“ is a freaky deconstructed club track, heavily utilizing a Roland 808 drum machine, glitchy sequenced rhythms and a welcome bombardment of wacked out, warped synth lines. This track is bassy and industrial but mixed with a diverse set of cleverly designed synth elements. Things get even more intense and dark towards the end of the track, with fast, hard hitting drill and bass rhythms and more of an abrasive out of control bassline. “MT1 t29r2” is a mind-bending drum and bass track, with gorgeous bright bell synths, blazing fast grooves and again showcases James’s ability to craft polished, technical yet emotive soundscapes. James employs the use of world percussion and more organic production to set a more lighthearted and grounded emotional state. On “abundance10edit[2 r8s FZ20m & a 909]” James tells us straight up in the title some of the tools he uses on the song. Maybe a nod to synth nerds, or just a magician revealing his secrets, it is the artist behind the machine what really matters, and James’s ability to add to and manipulate old “cheap” synths to create something so cutting edge is impressive. Ethereal atmospheres collide with a frenzy of drum machine grooves and unsettling vocal samples. “Pythx” ends the EP with cold, calculated and dissonant drill and bass. Samples, drums and synth sequences wiz past you at light speed, only to stop for unsettling chord progressions. This track is classic Aphex twin, but continuing to show more improvement in fleshing out ideas adding emotional complexity and soul to meticulous production. This Collape EP sets a high bar for heady, technical electronic music. It is clear from these songs that a massive amount of work went into the production, mixing and composition, and James delivers a meaty, cohesive and gorgeous set of IDM bangers that no fan of electronic music should miss out on.